This article first appeared in The Edge Financial Daily, on October 27, 2015. It’s not exactly a barn find. It’s far, far more impressive than that. But it’s listed among the dustiest jalopies you’d find in any back shed. 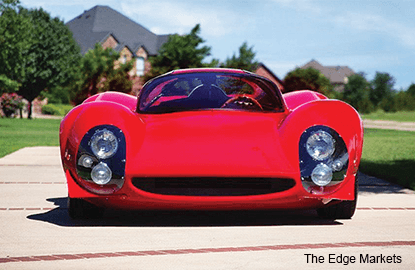 A Dallas-based seller has listed a 1967 Ferrari Thomassima II on his eBay account at the starting price of US$9 million (RM38.07 million). The user, under the name Derik Kennedy, did not respond to requests for comment, but it’s safe to say his car is the sole Thomassima model on private display. Only three were made: Thomassima I was destroyed in a flood, and Thomassima III sits in the Ferrari museum in Modena, Italy. The series is special, not only for its stunning good looks but because it was designed by an American, a man from California named Tom Meade. (Thomassima means “the most from Thomas”.) Meade was known to be heavily influenced by the period’s Maserati aesthetic, evident in this car’s curves. 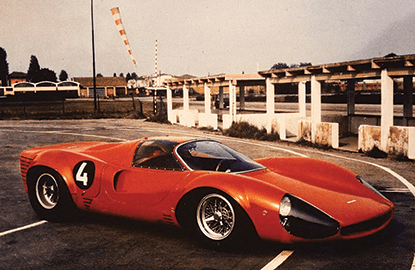 Jonathan Klinger, the spokesman for Hagerty, said the high price of the Thomassima II is undoubtedly linked to the current strength of the Ferrari market. In 2006, the average price of a Ferrari in excellent condition was around US$900,000. As of last month, that value reached US$5.5 million. Others have gone for more than US$20 million and US$30 million. So don’t expect this one to be as important, in the grand scheme of things, as those 250s that go for multimillions at live auction. 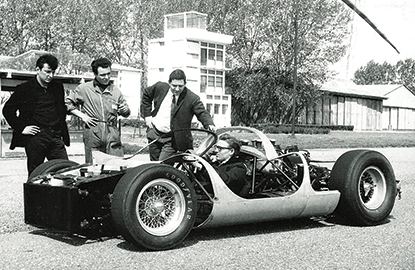 The Thomassima was built with Ferrari mechanics, but it was never officially produced by the brand. 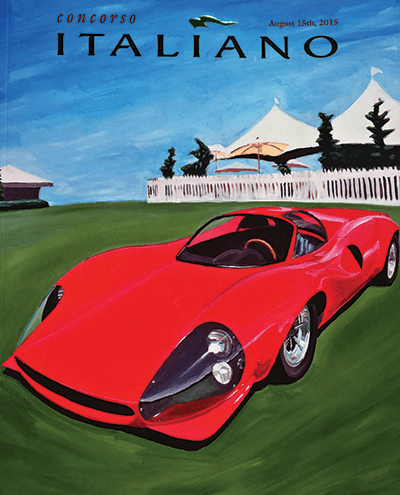 Phil Skinner, the collector-car senior market editor for Kelley Blue Book, agreed. A “real” Ferrari must have a Ferrari-issued chassis number. While this car has a title calling it a Ferrari, it seems to be lacking such credibility, Skinner said. Serious buyers might expect to find a car of this supposed calibre at an auction house such as Gooding & Co, Bonham’s or RM/Sotheby’s. Those firms could market the car once they verify its authenticity and backstory. “I just don’t see this particular car being that highly sought after,” he said.